The 1-MBA program merges opportunity, rigor and speed for professionals ready to pivot in their careers and reach new levels. The program is uniquely designed to be completed in one year. The unique curriculum includes foundational courses that will prepare students in the business fundamentals. These courses are followed by courses taught from the stakeholder perspective. Societal shift courses are interwoven throughout the program and are designed to enable students to grapple with macro-level issues and challenges that affect businesses on a global scale, such as, artificial intelligence, climate change, and rapid urbanization. The Consulting Practicum introduces students to advanced consulting skills and provides knowledge, training, and development through activities and experiences. The EXTERNSHIPseries company projects are designed to fully immerse students with hands-on experiential learning. Mentoring teams focused on your professional goals and career aspirations are assigned to you at the onset of the 1-MBA Program. They will personally serve as mentors and assist you with professional development opportunities. Your successful completion of the 1-MBA and exploring your next step professionally is a major priority of your mentoring team. Additionally, there are varying opportunities for Professional Development to ensure students get the most out of their MBA experience. A select, limited number of the student cohort in the 1-MBA Program can opt to participate in class online through our unique ClassroomLIVE experience. The integrated, web-based learning environment delivers programs in real-time from classrooms on Lehigh’s campus direct to students in their homes. Students interact live with professors and other students during the class as it’s actually taking place on campus. ClassroomLIVE provides students from far away regions the opportunity to complete most of the 1-MBA Program online without having to relocate. The 1-MBA is a 47-credit hour program that begins with a variety of foundational courses that prepares students in the business fundamentals. These courses are followed by courses taught from the stakeholder perspective. Societal shift courses are interwoven throughout the program and are designed to enable students to grapple with macro-level issues and challenges that affect businesses on a global scale. The Consulting Practicum introduces students to advanced consulting skills and provides knowledge, training, and development through integrated activities and experiences. Our EXTERNSHIPseries company projects transition you to substantive, practical experiences wrestling with real company projects – enabling you to gain the hands-on experience employers are seeking in the graduating MBA students they recruit. Throughout the 1-year program, the Consulting Practicum’s EXTERNSHIPseries projects are designed to fully immerse you with hands-on experiential learning. 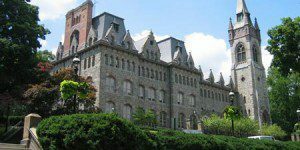 Lehigh University’s College of Business and Economics has a dedicated Director of Career Services for Graduate Programs. 1-MBA students have full access to the following Career Services resources as a collaboration between the Center for Career and Professional Development and the Graduate Programs Office: career coaching and advising, career education, digital tools, and events and resources to connect with alumni and employers. The 1-MBA tuition cost is $64,750, which is payable in four semester payments. College-awarded, merit-based scholarship and financial aid is available. Applicants must receive an offer of admission in order to be considered. Merit-based scholarship and financial aid is awarded based on academic performance and in some cases, work experience. The University’s Office of Financial Aid is committed to helping students attain a Lehigh University education, no matter your financial circumstances. Applicants must have a minimum of two years of full-time professional work experience to apply to the 1-MBA. Students wishing to enroll in the 1-MBA Program must submit an application with an application fee of $75. Also required are an essay, resume, GMAT or GRE scores, official transcripts from all universities attended, and two letters of recommendation. Applicants must also participate in an admissions interview. Applicants who hold an academic doctorate, juris doctorate, or medical doctorate will automatically be exempt from having to submit GMAT/GRE scores (must be equivalent to a U.S. Doctoral degree from an accredited university). Applicants to the program may be considered for a waiver of the GMAT/GRE requirement if one of the two following conditions are met: 10 years of full-time professional experience or a master’s degree combined with a minimum of six years of full-time professional experience. 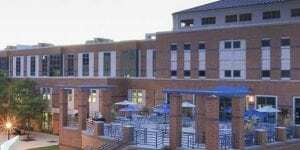 The nature of the professional experience, previous academic record, and other professional distinctions will all be considered in the review process and not all applicants will qualify for a test exemption. Waiver applicants must submit all application requirements except GMAT/GRE scores by completing an application through the Online Application System. The GMAT/GRE waiver request will be reviewed by the MBA Admissions Committee. In addition to the above, international students must also provide TOEFL or IELTS scores. Interested in learning about the top-ranked Lehigh University MBA programs? 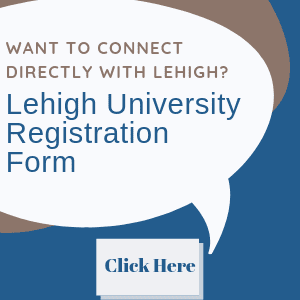 Fill out this form and someone from the Lehigh team will reach out to you shortly!